Chine is a massive country, not only in terms of population but also in terms of tourism. According to China Tourism Research Institute, China had 120 million outbound visitors in 2015 and they spent 104.5 billion US doallars, increases of 12% and 16.7% compared with 2014. The main driving forces for the increases included personal income rise, favorable policies, and appreciation of RMB. However, because of the earthquakes in Indonesia and Nepal as well as MERS in South Korea, the growth rate of outbound tourism was gradually declining. 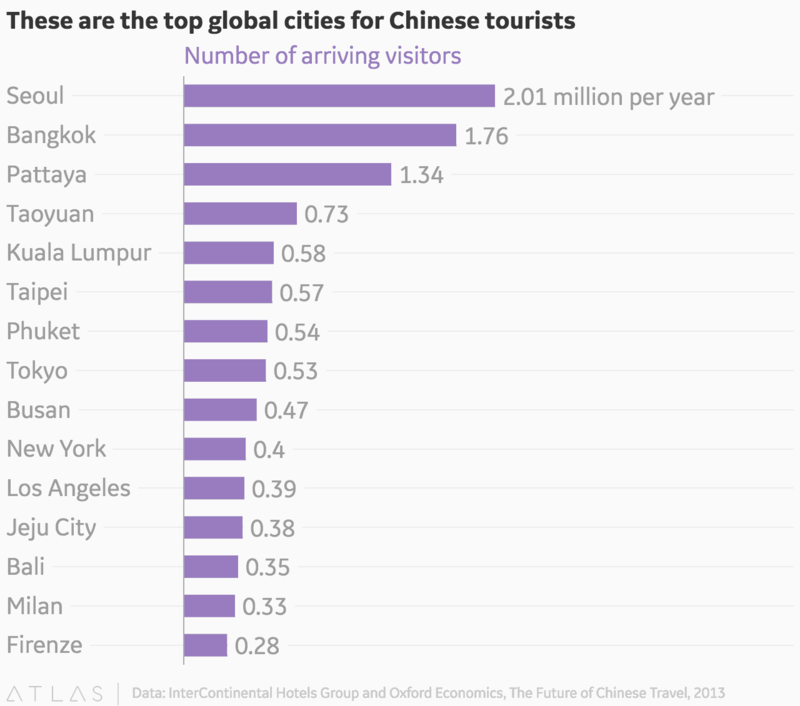 Here are the top Global cities for Chinese tourists. Listed above are the top destination cities for Chinese tourists. For now, the most popular cities remain relatively close to home. As the Chinese middle class grows, they will increasingly begin to venture abroad and shape global demand for air travel. With the sustainable growth of China’s economy, the further implementation of the Reform and Opening-up Policy, as well as the substantial increase in its people’s personal income, tourism industry of the country has seen unprecedented development in recent years. The enormous outbound market has drawn the attention of the world. 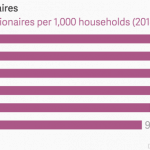 The domestic market keeps expanding steadily. However, the inbound market is in a downturn. hanks to the great improvement in Chinese people’s living standards and consumption level, the outbound visitors grows by leaps and bounds. Chinese people are now eager to go outside to explore other parts of the world, which creates a tremendous market for foreign countries. The hottest destinations include South Korea, Japan, Thailand, France, Italy, Switzerland, Germany, USA, Singapore and Maldives, some of which are nearby Asian countries. Based on the huge population, a further and sustained growth of outbound visitors is expected. Analyzing from travel destinations, Asia still dominated China’s outbound tourism market. From January to May 2015, South Korea still ranked as the No.1 destination country. Thailand is also a very popular destination for Chinese and only far below we see the first western countries. USA with New York and Los Angeles are still a historical strong destination. Then in Europe we can see that unfortunate terrorist attacks in the UK, Germany and France brought Italy with Milano and Firenze to the top destinations for shopping and culture. One thing to highlight is Hong-Kong disappearance from the top destinations. The number of mainland tourists visiting Hong Kong dropped dramatically by over 50% due to the protests against mainland shoppers. Now Hong-Kong is facing some economic crisis as basically main-land hopper have dramatically deserted the island. Chinese tourism is growing every year with a double digit number. Thanks to new wealth generated in the country, a new strong middle-class and administration freedom, Chinese tourists are traveling more and more. It is shappinng air-travel as well as Hotels hospitality. In deed big hotels chains need to adapt to a new customer who has specific needs and so far we can see how challenging this is as the change is operating in a fast mode. 非常感谢 (Thank you very much). Info sourced at the official Chinese Tourism website, Forbes Asia and Quartz Atlas. All content is copyrighted with no reproduction rights available. Images are for illustration purposes only.